It slipped by so fast that I almost missed it. It wasn't, after all, the main point of this news report by NPRs John Ydstie on All Things Considered. It was on the economy as a whole. Here's the audio recording. It looks as thought the advent of Obamacare and the provision of insurance to people who previously didn't have it has unleashed demand for health care services that simply wasn't there before. In fact, spending on health care grew in the first three months of the year at an astonishing annual rate of nearly 10%. This is no surprise to many of us. As we saw in Massachusetts when universal access was provided, if you give people health insurance, they will use it. In fact, at heart, that's why we want to give them insurance. In the past, people without health insurance would avoid important visits to the doctor, or important visits to the hospital, or important consumption of drugs. There are some who might argue that the fee-for-service rate design by which many providers get paid accounts for this. But, no. There is actually less fee-for-service care than there was in the past, as a number of insurers and providers have moved to more risk-based payment plans. There are some who might argue that consolidation in the health care industry accounts for upward price pressure. While that should be a concern over the coming years, I don't believe that it has yet had the full effect that it will. No, what's happening now is much more simple. People are going to the doctor sooner when they have symptoms. Some portion of those people are sick and need more extensive care. In the past, this group would not have gone to the doctor, and they would not have gotten the extensive care. Some percentage would have gotten sicker and sicker at home and eventually would have shown up in emergency departments. Without the full course of treatment they are now getting as insured patients, we would have "saved" a lot of money in treatment. Some, though, would have died prematurely or suffered from extended morbidity. Others are having regular preventative diagnostic tests, like mammograms. Early detection of breast cancer results in earlier treatment--radiation, surgery, chemotherapy--adding to the nation's health care bill. (We saw this in Massachusetts.) In the past, their disease would not have been noticed until it was too late, again "saving" a lot of money in treatment. The human cost under the old regime was unconscionable, and we have done the correct thing to give people access to insurance and care. The dollar cost, though, had to increase. The problem here is not the result. The problem was that the Administration, as part of its political strategy to get the legislation passed, glossed over this fact. In fact, the promise was that access to insurance would be paired with lower costs. The Administration's plan, all along, was that these costs would be covered by the imposition of a value-added tax. But the political environment has changed, and the chance of such a tax is very low. So the tension between access and costs will grow. Over time, choices will be made. Because HDHPs require out-of-pocket payment in the initial stages of care, primary care and other outpatient services as well as elective procedures are the services most affected, whereas higher-cost services in the health care system, incurred after the deductible is met, are unaffected. HDHPs promote adverse selection because healthier and wealthier patients tend to opt out of conventional plans in favor of HDHPs. Because the ill pay more than the healthy under HDHPs, families with children with special health care needs bear an increased cost burden in this model. HDHPs discourage use of nonpreventive primary care and thus are at odds with most recommendations for improving the organization of health care, which focus on strengthening primary care. Health care policy is rife with fads, unsupported and analytically flawed approaches to try to influence the way care is delivered with simple--but wrong--metrics used to determine unwarranted penalties. There, I've said it. But please don't put me as an ally of nay-saying doctors and hospitals who really don't want to improve the quality of care. I've been devoting many years to advocating for patient-driven care, eliminating preventable harm, transparency of clinical outcomes, and front-line driven process improvement. The problem is that poorly thought through interventions of government policy not only fail to improve care, but they raise levels of resentment and cynicism among the people we need to engage in making changes in the system. Those interventions also have harmful unintended consequences. Federal policies to reward high-quality health care are unfairly penalizing doctors and hospitals that treat large numbers of poor people, according to a new report commissioned by the Obama administration that recommends sweeping changes in payment policy. Measures of health care quality and performance — widely used by Medicare and private insurers in calculating financial rewards and penalties — should be adjusted for various “sociodemographic factors,” the expert panel said. The panel was created by the National Quality Forum, an influential nonprofit, nonpartisan organization that endorses health care standards. “Factors far outside the control of a doctor or hospital — patients’ income, housing, education, even race — can significantly affect patient health, health care and providers’ performance scores,” said Dr. Christine K. Cassel, the president of the organization. The Obama administration commissioned the study, but is not entirely comfortable with the recommendations, officials acknowledged. The Obama administration has championed the idea of pay for performance, with financial penalties for hospitals where deaths, readmissions or complications occur at rates above the national averages. The administration has said adjusting the data for social or demographic factors would be equivalent to accepting a double standard, with lower expectations for the care provided to low-income patients. Sorry, but this is the response of a government that has let ideological purity stand in the way of common sense. The issue is not about rewarding lower levels of care to poor patients. It is about not penalizing hospitals that care for poor patients. Doug Wojcieszak's passion is to get hospitals and doctors to see the value of apology and to have them make it part of their standard of care. He often tells positive stories about places that have done this well, but every now and then he has a story that makes you cringe. 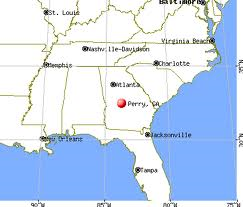 In summary, Perry Hospital technician Rachael Rapraeger lied about the results from over 1,200 mammograms. In her plea deal with a criminal court, Ms. Rapraeger said she got behind in her work and created negative readings for over 1,200 mammograms….mammograms that were never reviewed by physicians. Patients were lied to. Ten patients actually had positive readings, and two have since died. Ms. Rapraeger apologized for her conduct and was sentenced to six months in jail, 9.5 years of probation, a $12,500 fine, and is banned from the healthcare profession for 10 years. I am sure some PR person with the help of a gaggle of lawyers wordsmithed this doozy, and it really stinks. Just right, Doug. Thanks for your dedication to this cause. One requirement of the program is supposed to include "opportunities for residents to report errors, unsafe conditions, and near misses, and to participate in inter-professional teams to promote and enhance safe care." 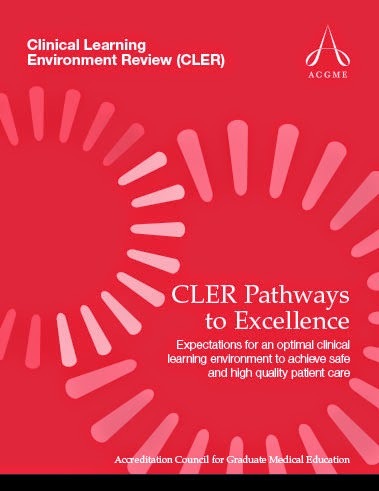 I've been looking for a "cler" presentation of the results of the site visits on this matter, but I can't find anything on the ACGME website or elsewhere. According to this document, the ACGME has accredited 9516 programs in 2013-14, covering 121,778 full-time residents. The page that indicates which programs are on probation (unfavorable status), shows the number to be 39, but it does not list the reasons. Here are my questions. I know from personal visits and discussions with residents that many hospitals do not satisfy the requirement cited above. Have any of these programs been put on probation? Whether on probation or not, will the names of hospitals that fail this test be made public? If a patient-safety-oriented medical student applying for the residency match program wanted to know which hospitals do not satisfy this requirement, how could he or she find out? 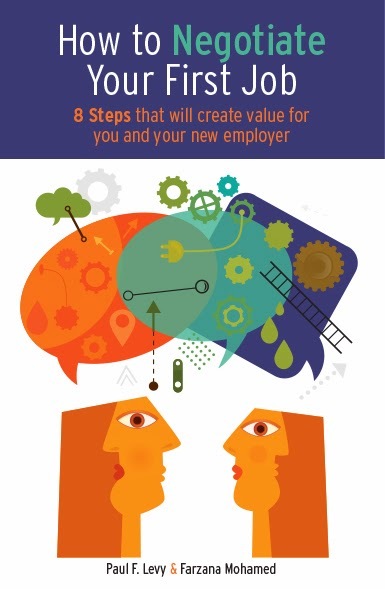 Take your career to the next level and become a key leader and influencer. This three-day course will teach you how to integrate your life and remove the self-imposed barriers that prevent success. In small classes capped at 20, you’ll work in an intimate, team-building setting and develop lasting connections with your peers. As part of the course, you'll receive a copy of the book: The Orange Line™ - A Women’s Guide to Integrating Career, Family and Life, which was written by Professor Jodi Detjen. The book will help guide conversations about the work-life balance among women. At the end of the course, you’ll have an over-the-phone coaching session in small groups. Professor Detjen will lead a discussion about achieving your goals, overcoming challenges, evaluating the 360 analysis, and adapting your plans for the future. You’ll emerge from this course with a clearer understanding of yourself, including your leadership vision and values. You’ll learn how to negotiate, navigate difficult conversations, build lasting relationships, and much more. As we look at that CRS report, we see that Massachusetts got $170 million for the same purpose and couldn't get its act together. Hawaii, $205 million. Maryland, $171 million. And, in addition, according to the Pioneer Institute report, "Failure at the Connector will cost Massachusetts taxpayers over $100 million dollars this year" because 160,000 Massachusetts residents are on temporary public Medicaid coverage even though they don't qualify for MassHealth. I strongly support the goals and purposes of the Accountable Care Act, but this level of managerial incompetence is breathtaking. Shouldn't we as federal taxpayers ask for the failed states to return the US grants they received? Perhaps, then, the states will have an incentive to recover the spent funds from the contractors they hired. Between 1998 and 2003, acetaminophen was the leading cause of acute liver failure in the United States, with 48% of these acetaminophen-related cases of liver failure being associated with accidental overdoses. Summarizing data from 3 different surveillance systems, there were an estimated 56,000 emergency department visits, 26,000 hospitalizations, and 458 deaths related to acetaminophen-associated overdoses per year from 1990 through 1998. A study from 22 medical centers in the United States that was completed in 2003 and was confirmed in a separate study in 2007, demonstrated that a high percentage of instances of liver injury due to acetaminophen were related to unintentional overdoses. In other words, the patient took too much by mistake. On January 14, 2014, the FDA recommended that healthcare professionals discontinue prescribing and dispensing prescription combination drug products that contain more than 325 mg of acetaminophen per tablet, capsule, or other dosing form. Even before that, in 2011 the FDA had asked manufacturers of prescription combination drug products containing acetaminophen to limit the amount of acetaminophen to no more than 325 mg in each tablet, capsule, or other dosing method by January 14, 2014. In this particular directive, the FDA noted that severe liver injury with acetaminophen had occurred in patients who took more than the prescribed dose of an acetaminophen-containing product within a 24-hour period, took more than 1 acetaminophen-containing product at the same time, and/or who drank alcohol while taking acetaminophen products. While noting also that acetaminophen is widely used in many over-the-counter products, including over-the-counter cold products, the FDA directive did not provide any regulatory action regarding these particular products. The FDA did advise that many consumers are often unaware that many products contain acetaminophen, and, therefore, consumers could easily take too much by accident. But no actions were taken in regard to over-the-counter products. Back in 2010, I reported on a protocol developed by Dr. Melissa Mattison and others called GRACE (Global Risk Assessment and Careplan for Elders). As noted then, this program was designed to improve the care of all hospitalized elders, with the hope of reducing the risk of delirium, falls, pressure ulcers, functional decline, etc. Our review process often indicated that the staff had done just the right things with regard to fall prevention and supervision of patients. Using the "5 Why" process of Lean, they kept digging into the cause of these falls. A hypothesis emerged: Perhaps we were contributing to the likelihood of falls by over-medicating geriatric patients or missing important parts of their supervision and therefore causing them or allowing them to be disoriented. The GRACE protocol was the result of this root cause analysis. I'm now happy to provide a progress report, in the form of an article in the Journal of the American Geriatric Society. The program has been shown to make a difference. Here are some excerpts. Recognizing that older adults have speciﬁc care needs that are distinct from the needs of younger adults, a group of geriatricians, hospitalists, and nurses designed a supplemental checklist to accompany the standard bedside monitoring form. list prompts staff to screen for delirium and to implement delirium prevention and management strategies. The CPOE system provides decision support for antipsychotic and opioid analgesic ordering. There were four main components of the intervention that were critical to its success. First, the intervention was targeted to a population likely to beneﬁt from the intervention and that staff and the CPOE system are likely to identify easily. Units where individuals were already receiving specialized care plans (e.g., intensive care units, inpatient psychiatry) were excluded. Second, the decision support required for success of the intervention was carefully designed for this target population. Third, outcomes focused on critical intervention components were predetermined and monitored. Finally, throughout the intervention, educational curricula were created and offered to staff across clinical disciplines—including nursing, physician staff, and residents. The ﬁndings indicate that the intervention improved prescribing of sedating medications—participants were signiﬁcantly less likely to be prescribed haloperidol in excess of 0.5 mg or intravenous morphine in excess of 2 mg. There were more triggers for acute change in mental status, but this was seen in individuals receiving the intervention and in the concurrent controls. Signiﬁcantly more individuals receiving the intervention were discharged to home than to ECFs [extended care facilities] than would have been expected, suggesting less in-hospital functional decline. The next WIHI broadcast — Transforming Tensions and Tempers on Health Care Teams — will take place on Thursday, April 24, from 2 to 3 PM ET, and I hope you'll tune in. The last thing a patient needs to experience at a hospital or a clinic is tensions between staff members. Yet, we've all been there and seen and heard things that make us wonder “who isn’t getting along with whom” or, worse, are we getting the best care when we can tell providers are just barely disguising their frustrations with one another? It's a fair question, especially since health care is being redesigned at all levels to be more of a team effort. Doesn't that mean that the team has to be cohesive and everyone needs to get along? We're going to get into this important issue on the April 24 WIHI: Transforming Tensions and Tempers on Health Care Teams. The topic couldn’t be timelier, and we’ve brought together an expert group that spoke to a packed room about managing conflict on health care teams at IHI’s National Forum in December. Neil Baker is familiar to many of you as an IHI faculty member who’s spent the past 30 years helping organizations and professionals better deal with the “people issues” that can not only stall improvement work but also jeopardize patient safety. Nan Cochran wears a lot of hats, including being President of the American Academy on Communication in Healthcare. Dr. Cochran does a lot of training in conflict management and negotiation, which we’ll tap into on the April 24 WIHI. Calvin Chou at UCSF rounds out our panel. His work focuses on teaching medical students and residents humanistic clinical skills that are critical to communicating more effectively with patients. Some of these same skills can help health care teams better appreciate their differences and avoid overreacting to one another, to the detriment of the team and patients. What are you and your colleagues learning about building rapport and resolving tensions? I hope you’ll tune into the April 24 WIHI to share your experiences, learn from our experts, and bring members of your health care team with you. And, if you sometimes wonder what’s behind some of the difficult behaviors on teams, here’s some interesting additional reading. See you on April 24! I want to be very careful about how I present the following information, as I mean to suggest no improper or illegal behavior on the part of any individual. Instead, consistent with my previous columns on these matters, I mean to suggest that it is a slippery slope when people in academic medical centers join the boards of directors of pharmaceutical companies. The issue is not their honesty or expertise. The issue is that we lose the expertise of key people in helping us resolve thorny public policy debates. A further issue is that, in serving two masters, they contribute to the erosion of public confidence in the research and clinical activities of the health care sector. Record sales of a new hepatitis C drug pushed the first-quarter earnings of Gilead Sciences far beyond expectations, the company reported on Tuesday, but could also heighten concerns about the high cost of the drug, known as Sovaldi, and the ability of the health care system to pay for it. The rapid uptake of Sovaldi to some degree reflects pent-up demand, as many patients were holding off treatment until it was approved in December. The drug, a pill taken once a day, has a higher cure rate, a shorter duration of treatment and fewer side effects than previous treatments. But Sovaldi, which has a list price of $1,000 per pill, or $84,000 for a typical course of treatment, has become a flash point in a debate over drug prices. Paying for Sovaldi for all the patients who need it could put financial strain on insurers, state Medicaid programs, the Department of Veterans Affairs and prison systems. UnitedHealth Group, one of the largest insurers, said last week that its first-quarter earnings had declined in part because it had spent more than $100 million on hepatitis C treatments, including Sovaldi, far more than it expected. Some doctors say there is a benefit to treating even early stages of the disease, to prevent scarring of the liver. Distinguished Professor of Pediatrics, Professor of Microbiology, Medicine and Neurosurgery; Loeb Eminent Scholar Chair in Pediatrics; Co-Director, Division of Pediatric Infectious Diseases; Vice-Chair, Department of Pediatrics; Senior Scientist, Department of Gene Therapy; Scientist, Cancer Research and Training Center; Faculty, Gene Therapy Center; Associate Director for Drug Discovery and Development and Senior Leader, Pediatric Oncology Program, Comprehensive Cancer Center; Director, UAB Center for Emerging Drug Discovery; Co-Founder and Co-Director, Alabama Drug Discovery Alliance. He is also "responsible for the National Institute of Allergy and Infectious Diseases Collaborative Antiviral Study Group whose role is to perform clinical trials of antiviral therapies directed against medically important viral diseases of children and adults including viruses considered as threats to human health." 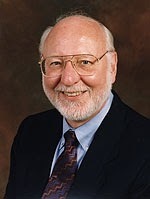 According to this report, Dr. Whitley is an Editor of Antiviral Research, and is a member of the Editorial Boards of the Journal of Infectious Diseases, Sexually Transmitted Diseases, Reviews in Medical Virology, Antimicrobial Agents and Chemotherapy, Antiviral Chemistry and Chemotherapy, Infectious Diseases Watch for Pediatricians, Seminars in Pediatric Infectious Diseases, Gene Therapy, and Medscape Infectious Disease. As we view all of this, we can only imagine the extent of Dr. Whitley's personal commitment to eradicating disease. This is truly an outstanding record. I'd bet, too, that he would strongly support expanded access to Sovaldi for humanitarian reasons. But in all the searches I have done, I can find no public statements from him concerning the financial issue raised in Andrew Pollack's story. Indeed, it would be very difficult for someone on the Gilead board to make a statement about such matters, as it would be viewed as inconsistent with the duty of loyalty and care required of corporate directors. So, there we have the nub of the issue. An extremely respected scientist with Dr. Whitley's credentials could be among the most qualified in society to "referee" this kind of issue--to help us understand and balance the legitimate financial needs of the pharmaceutical industry with the equally important humanitarian concerns about a drug's availability and cost in America. He cannot do so while on the board of the company producing the drug. The loss to society is that someone of Dr. Whitley's expertise and compassion is taken out of the public debate on these matters. We all know we shouldn't text while driving, right? Because if you are going 30 miles per hour, your car has gone 44 feet for every second you are looking down at your iPhone. Bad things can happen even at that speed. At 60mph, you go 88 feet per second. Imagine how much damage you can do in that situation. But remember the guy who said, "I only text on the highway"? The anesthesiologist admitted to texting, accessing websites, and reading ebooks during procedures. He claimed, though, that “even when I’m doing so, I’m always listening to the pulse ox, always checking the blood pressure, always—you know, at least every five minutes.” It seemed lost on him that five minutes is an eternity in medicine: The brain begins to die after just a few minutes without oxygen. While throughout the 1980s, most programs banned residents from so much as studying in operating rooms or on the ward, doctors now routinely do far more distracting things in these same settings, with no possible medical justification—from tweeting to texting to posting on Facebook. The term “distracted doctoring” doesn’t seem adequate to describe the phenomenon of health care providers who habitually use electronic devices for non-medical purposes during appointments and procedures. These doctors, nurses, and technicians aren’t momentarily distracted: They’re deciding to interact with Facebook friends or Twitter followers instead of the patient in front of them. Perhaps hospitals should do what our local transit system does: They prohibit even possession of cell phones by transit drivers while in buses and rapid transit vehicles. Because if you have it, you will use it. A friend whose mother was murdered in Kabul, Afghanistan last month teaches us a lesson in how to come to terms with wanton cruelty. 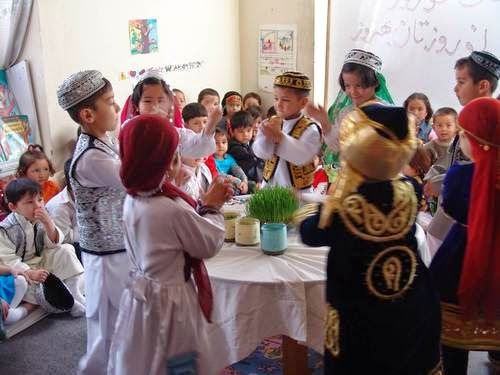 If you feel inclined to support her family's non-profit organization in support of education and service opportunities for Afghan boys and girls, click here. But I will continue watching. The peace is with you now. Look, you can watch this happen in real time! 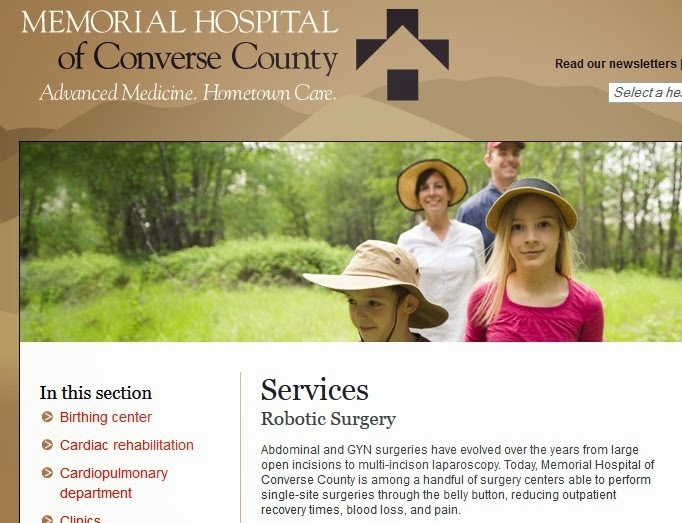 Memorial Hospital of Converse County last year purchased a $2 million da Vinci Surgical System, the second hospital in Wyoming to do so. Memorial executives said they expect their facility to perform about 100 robotic surgeries a year. That's far below the estimated volume experts say is needed to produce a viable financial return within six years on the robotic system, whose average cost ranges from $1.5 million to $2 million. Memorial, which reported an operating loss of $2.2 million in the first half of fiscal 2014, used cash reserves to buy the da Vinci system, manufactured by Sunnyvale, Calif.-based Intuitive Surgical. Memorial said 40% of its cost will be reimbursed by Medicare as a capital expense because it is a critical-access hospital. While overall sales of da Vinci systems are on the decline, a number of small and rural hospitals are considering following in Memorial Hospital's footsteps, believing it will help them attract and retain surgeons and appeal to patients. The government system for financing critical-access hospitals helps underwrite some of the costs. But small hospitals going down that path will face the same issues now confronting major systems that have installed surgical robots. Some studies have raised doubts about whether robotic surgery offers better outcomes than standard laparoscopic procedures. And Intuitive Surgical faces dozens of product liability lawsuits across the country filed by patients who claim injuries from the device. [W]hen surgeons at a smaller hospital don't reach the estimated proficiency threshold, that raises questions about the adequacy of their experience. “It becomes even more difficult to justify this decision,” Tiernan said. But we don't have to wait until 2035. We've seen a different kind of "crime" perpetuated by a robot during the last decade or so. If we could start all over again, would we want the medical community to spend billions of dollars in capital and operating costs on a medical device that had no proven relative efficacy compared to conventional, lower cost techniques? I think most of us would say, "No." But the medical community has been complicit in carrying out exactly this scenario with regard to the daVinci surgical robot. The federal government has likewise stood by and watched, as have insurers. At best, the establishment media has let the story go on for years, and, at worst, has been quick to jump on the bandwagon. All to benefit the managers and shareholders of a private company. This has been a breathtaking saga. We could hope that it would present lessons for the future, but there is no indication that it has done so, whether for the expanded use of this technology to other areas, or the introduction of other devices and procedures that comprise the medical arms race. Robot-assisted radical prostatectomy (RARP) led to complication rates, readmission rates, and rates of additional cancer therapy similar to those of conventional surgical prostatectomy, a review of almost 6,000 cases showed. Patients who underwent RARP had significantly higher complications rates at 30 and 90 days, but blood loss and transfusion rates were lower, as was the risk of a prolonged hospital stay. After adjustment, the overall complication rates did not differ. "RARP and open radical prostatectomy have comparable rates of complications and additional cancer therapies, even in the post-dissemination era," Quoc-Dien Trinh, MD, of Dana-Farber Cancer Institute in Boston, and co-authors concluded. "Although RARP was associated with lower risk of blood transfusions and a slightly shorter length of stay, these benefits do not translate to a decrease in expenditures." Introduction of RALP (robot-assisted radical prostatectomy) did not result in improvement of functional outcome. There was no difference regarding urologic function/bother score or sexual function/bother score at 36-month follow-up in patients treated with LRP or RALP. Radical prostatectomy is an effective form of therapy for patients with clinically significant prostate cancer; however, outcomes are highly sensitive to variations in surgical technique. Because of the risks of perioperative complications and urinary and sexual dysfunction, which appear to be as great with robotic-assisted prostatectomy as with any other technique, patients with low-risk cancer, especially those >60 years, might be attracted to more conservative alternatives, including active surveillance, radiotherapy, and focal ablation. Despite the intuitive nature of the daVinci system a definite learning curve with RALP (robotic-assisted laparoscopic prostatectomy) exists in relation to console time and LOS. Over 50 cases need to be completed to effect an appreciable improvement in learning curve. Positive surgical margin rates did not improve, suggesting that this may have a longer learning curve. The literature search involved 8 series, with a range of learning curves from 13 to 200 cases. The least expensive learning curve was $49,613 and the most expensive learning curve was $554,694. The average learning curve was 77 cases and cost $217,034. Costs associated with operative time while learning RAP (robotic-assisted prostatectomy) are substantial, and should be considered when deciding whether to implement RAP at an individual institution. Purchase of a robot reduces income by at least $415,000 per year, due to the cost of the device and the service contract. Donation of a robot lessens the financial impact by $300,000 per year. If an institution maintains an identical caseload when switching from LRP to RAP, then it cannot maintain equivalent profits.. This holds true even if the robot is donated. To maintain profits, an increase in caseload is needed to cover the added costs of the robot. At all levels of baseline productivity, purchase of a robot requires a greater case volume to maintain profits, relative to donation of a robot. Centers that perform a high volume of LRP at baseline need to only make small increases in total case volume to maintain profit, while centers with low volumes at baseline need to make very large changes in operative volume to cover the additional costs of robotics. 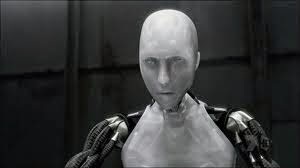 Like an airline making money with an airplane, the robot will only pay for itself if it is used at a high volume. Imagine what kind of financial pressure that puts on doctors and hospitals to recommend prostate surgery rather than more conservative treatment approaches. How many men have had surgery who did not need to because of those pressures? How many of those have suffered irreparable harm? Prof. dr. W. Spaan, Chairman of the Management Board of the Jeroen Bosch Hospital, has been elected Care Manager of the year 2014. The jury awarded the title to Spaan because he is the most innovative and inspiring, and implemented patient safety into every layer of the organization. W. Spaan is someone who doesn’t have to be in the spotlights. He encourages the employees and medical specialists and provides them with the freedom to successfully do their work. The election was organized by the magazine Zorgvisie, and is annually awarded to the most successful care manager of the year. 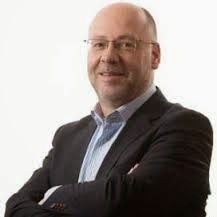 The other two nominees were Jan Kimpen, CEO of University Medical Centre Utrecht, and Jeroen van den Oever of Fundis, formerly Vierstroom, in Gouda. As chairman, Spaan has made quality into the guiding principle of care. He has tirelessly worked to create an active and open patient safety culture at the Jeroen Bosch Hospital (JHA). The existing internal and external openness about mortality rates, the quality indicators and disasters have greatly contributed to the internal awareness that it is important to keep improving, and that patients have confidence in organizations that are built on a strong culture of improvement. A personal encounter in 2008 with Donald Berwick, the former CEO of the Institute of Health Improvement, the leading institute in the field of quality and safety in health care, inspired him to implement the six dimensions of quality (Safety, Patient-centered, Effectiveness, Efficiency, Timely and Equality) as a corporate strategy in our hospital. From that moment, Spaan started to focus on quality in the care we provide to our patients. This has also led to JHA belonging to the five best hospitals in the Netherlands with regards to care indicators. The Jeroen Bosch Hospital is very proud that Spaan is elected as care manager of the year. His nomination is a great opportunity to further promote his mission for quality and safety, and to continue inspiring others. All candidates are assessed on the sustainable and innovative results they have achieved in the health care organization they lead. Their ideas about the organization of care inspire others inside and outside their institution, and they are an example for care managers in the Netherlands. The three candidates were nominated by a selection committee consisting of Professor Pauline Meurs and organization consultant Hanke Lange. The winners were announced at the end of the congress Focus on proper care in Haarlem. Jury President André Rouvoet, also chairman of Insurers Netherlands, announced the winners. One year later: A few days after last year's Boston Marathon bombing, while the police and others were searching for the remaining suspect, the Governor asked people to "shelter in place," to stay at home and avoid being on the streets. A sign of the cooperation received is this traffic map of the Boston metropolitan area on that day. All routes are shown as green, i.e., no traffic at all! But some people found it difficult to stay inside on a beautiful spring day. These two young folks escaped for an exercise routine in the field behind my house! BOSTON (AP) — Democratic candidate for governor Don Berwick on Wednesday called for a ‘‘single health care payment system’’ for Massachusetts. Berwick, who headed the federal Centers for Medicare and Medicaid Services for 17 months, is one of five Democrats, two Republicans and three independent candidates seeking the state’s chief executive post. Speaking at Boston University School of Medicine, he praised President Barack Obama’s health care law and the 2006 Massachusetts law that inspired it, adding that Massachusetts can again lead the nation. But, he said, the state and country can do better by essentially expanding Medicare, which covers the elderly, to include all residents regardless of age. ‘‘We can create and manage a simplified, transparent, efficient, and fully accountable single health care payment system in Massachusetts and we can make it work for the people,’’ Berwick said in a prepared copy of the speech. That ‘‘single-payer’’ option has long been a dream of liberal Democrats, but has also been considered a political impossibility in a divided Congress. It was Berwick’s praise for aspects of the British single-payer health care system that marked him for criticism from congressional Republicans, who said it showed his affinity for big government programs. They blocked his confirmation as Obama’s permanent head of the Centers for Medicare and Medicaid Services after his temporary appointment. Berwick on Wednesday brushed off the criticism of those he called ‘‘naysayers’’ and said a single-payer system would have less ‘‘waste, confusion, complexity, and opacity’’ than the current system, which he said forces patients and doctors to spend time and money sorting out varying coding systems and billing rules. By contrast, he said, Medicare spends just 1 percent on overhead. It is ironic that the case made by lots of Republicans against Don for the CMS job was, in fact, based in part on his position on this issue. Back then, recall, "Republicans . . . seized on remarks he made praising Britain’s National Health Service as an 'example' for the United States to follow." Of course, the Republicans dramatically overstated the issue and would have found any reason to be against him, but time has shown it to be the case that Don actually does support an NHS-like single payer system. Now, the question is whether this issue will resonate in Massachusetts. Two lovely articles crossed my desk, and I'd like to share them with you. Cornell University sociologists Milena Tsvetkova and Michael Macy explained how we are much more likely to perform a kind act when we experience or witness one. Experiencing a small kindness is more potent than observing on. There is a large segment of health care workers who want to do the right thing, to do things differently, but are held back for a variety of reasons. Sometimes they just want to know that there are others who are willing to move forward with them. Someone needs to takes that first step, to set off the chain reaction. Others want to know that if they lead, others will follow. Take, as a great example, Janet Wall, a support associate on the Weinberg ICU at The Johns Hopkins Hospital. Wall has worked on the unit for 14 years and often jokes that she is “protecting her house” when she sees a behavior that is not consistent with the values that the unit is built around. If she sees anyone neglect to perform hand hygiene before entering a patient room—be it a world-renowned surgeon or a clerical worker—she will immediately remind them to do so. She’s on the unit to save lives, she proudly announces. Anyone who has worked in health care or been a patient knows how uncomfortable it can be to ask someone else to wash their hands. But Wall took the risk to do something different and hold others accountable. And once she did, other support associates and staff began to follow. Many staff who had never before taken those kinds of risks began to speak up. This social movement has spread around the unit, and even nurses who before did not feel empowered to speak up are doing just that. Acts of leadership and courage can be powerful forces for social change when they are aligned towards a goal. And as Wall demonstrates, you don’t need a C-suite title to set these in motion. So start a social movement in your unit or clinic. Take that first step—an uncommon act of kindness, generosity or courage. Witness or experience these acts, and then pay it forward, and watch as the world around you begins to change. A piano has 88 keys, yet new music is created every day. How can we take what we have to work with in healthcare and see what has yet to be discovered or apply what has yet to be tried — especially when it comes to teamwork. Just when I thought that Massachusetts health care environment was complicated, along comes this story from ConvergenceRI. Richard Asinof is a tireless reporter who documents the health care comings and goings in the state. We could use someone of his energy and depth in Massachusetts, someone who connects current events with what has happened in the past--with a healthy dose of similes and an appreciation for irony. Like new spring growth in the briar patch, thorny consequences of Prime Healthcare’s takeover of Landmark Medical Center have begun to emerge, less than four months after the deal was finalized that allowed the California-based, for-profit hospital system to purchase the financially troubled nonprofit community hospital. UnitedHealthcare Insurance Company and UnitedHealthcare of New England have asked the R.I. Department of Health to remove Landmark from its network of hospitals, along with 52 physicians, 32 of which are primary care providers, who have “admitting privileges exclusively” at the hospital. The only commercial insurer with an ongoing participating agreement with Landmark is Blue Cross & Blue Shield of Rhode Island – a legal arrangement that was part of the final purchase deal. There is a certain amount of irony in the current situation, given the events of two years ago, when in the summer of 2012, it was Blue Cross & Blue Shield of Rhode Island that had requested to remove Landmark from its network of hospitals during its contract negotiations with Steward and Landmark, leading to an aggressive advertising campaign attacking Blue Cross by Steward and Landmark and a lawsuit against Blue Cross by the special master that was later withdrawn. Failed mediation efforts with Blue Cross involving Rhode Island Attorney General Peter Kilmartin [and leaked confidential letters between Kilmartin and Steward Health Care CEO Dr. Ralph de la Torre] led in part to the breakdown of the proposed purchase of Landmark by Steward, a for-profit hospital system based in Boston and owned by a private equity firm, Cerberus, in New York City. A journalist must work hard to fit “amazing, miraculous, groundbreaking, incredible” into 1 robotic surgery story. The new donation will support the funding of surgeries but also launch a more complete program where patients' results can be tracked. 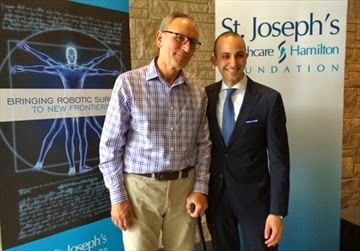 It's hoped those results can be used to promote broader use of robotic surgery and secure more funding, said Dr. Waël Hanna. It's clear we don't have to wait for the results of those studies! 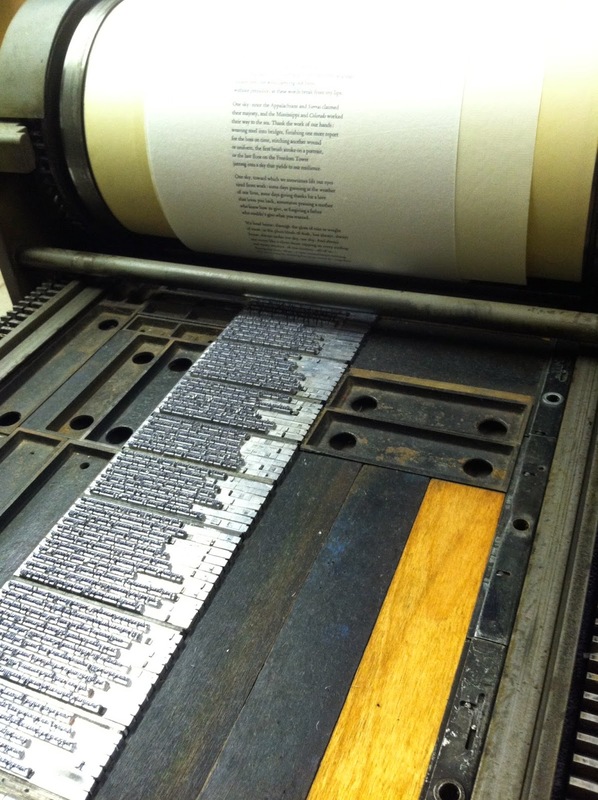 Our buddy Alex Green has made good progress on his IndieGoGo project to step back in time and engage in old-fashioned typesetting. Three days are left, and he's 91% percent of the way there. Please help bring back a bit of the past. Contribute here. Massachusetts gubernatorial candidate Don Berwick is holding a press conference on Wednesday, April 16, at 7pm at Bakst Auditorium at Boston University's School of Medicine to present his plan called "Medicare for All," a single payer system for the state. Many will be curious to see what he proposes. As one of Don's supporters in the Democratic primary race, I don't necessarily agree with all he says, but I love that he stretches the limits in his public policy proposals. It keeps the race vibrant and gets people engaged. There is a delicious irony to Don's single payer approach in this state, in that a large argument for it has been provided by the state's largest insurer, Blue Cross Blue Shield--which would be put out of business by the proposal. Why? Well, BCBS has been so intent on expanding the use of global payments that it has effectively shifted actuarial risk from itself to the providers who have adopted that payment regime. One can logically ask the question: "If insurance companies don't bear risk, why do we need insurance companies?" If all they do is handle transactions and claims, who needs them as plan administrators? What core competencies do they bring to bear that any well-run financial services organization does not? I'm being slightly facetious but not a lot. The state's insurers continue to collect a similar percentage of the premium dollar each year for administrative functions. They seem unable to realize economies and improvements in that part of their business. Thus, as premiums have risen, their share has risen proportionately. Indeed, one can argue that they have an incentive for higher premiums and more claims processing. Hmm, it sounds like they operate under their own fee-for-service reimbursement approach, something they decry as inappropriate for the rest of the industry! 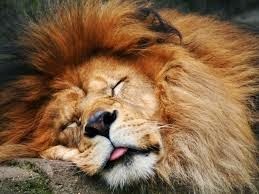 Poke that sleeping lion, Don, and we'll see whether it responds with a roar or a meow! What happened to the Massachusetts exchange? In the "people's republic of Massachusetts," the Pioneer Institute often gets a bad rap as a conservative think tank. The Democratic establishment does its best to ignore it, but I have found the Institute to do good work and raise issues in a thoughtful and rigorous manner. As a result of the failed Connector website, 160,000 Massachusetts residents are on temporary public Medicaid coverage even though they don't qualify for MassHealth. Failure at the Connector will cost Massachusetts taxpayers over $100 million dollars this year. So, Pioneer has questions about how Massachusetts went from having a well-functioning Exchange to one of the worst performances of any state in the Union. This week legislators on Beacon Hill are finally convening a second hearing in the seventh month since open enrollment started under the ACA, on the failures at the Connector. This follows a recent Congressional hearing featuring the executive director of the Connector, and a February hearing in Boston where legislators simply vented at officials from the Commonwealth. Yet, even with these two hearings, little information has been released to the public on how the state got into this mess in the first place. Pioneer asks 100 questions that it asserts, "need to be answered regarding just what happened during implementation" I include the first 43 here for your perusal.The kinds of questions raised by Josh are essential to conducting a root cause analysis to understand what went wrong, in the hope of doing better on this kind of project in the future. Why did the Commonwealth decide to completely rebuild its website exchange? Why did it not work off the foundation of its old website? Why did the University of Massachusetts Medical School hold the contract for the exchange development? Did the Connector and MA HHS shape the Early Innovator Grant application? Why were the University of Massachusetts Medical School principal leads on the contract both policy experts, not technical experts? What was the bidding process that led to the selection of CGI? What factors were considered? What other companies bid on the contract? What state employees provided technical expertise to design the website contract? Were any of the website contracts granted on a sole-source basis? Why did the state's IT department (ITD) play a limited role in implementation and contracting? It is clear to outside auditors that the original deal with CGI was too ambitious. Did state employees or CGI include the level of bells and whistles in the original contract? Problems arose early with conversations about scaling back the original contract starting as early as January 2013, when did serious problems first start to emerge? How quickly were issues escalated and to whom? What exactly was the escalation process? When did senior staff at UMass Medical School first know about the problems? When did Connector senior staff first know about the problems? 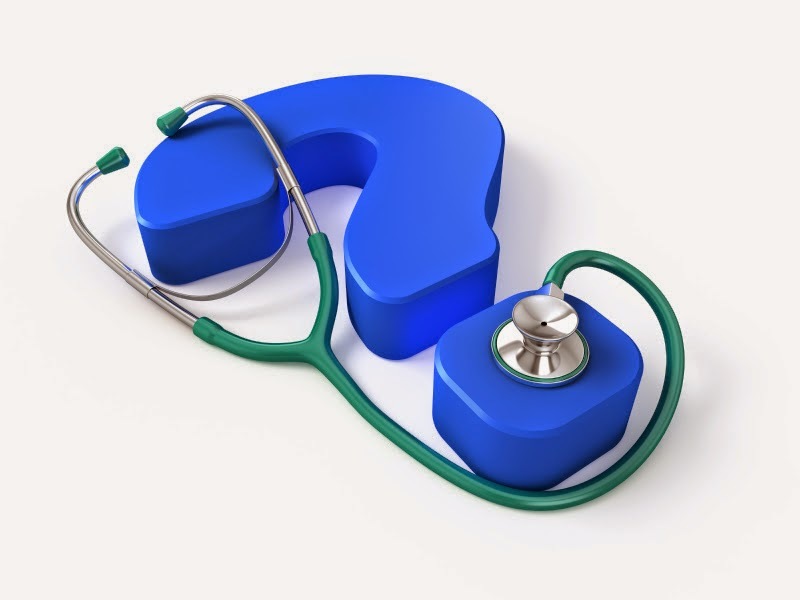 When did Mass HHS senior staff first know about the problems? When did the Governor first know about the problems? When did the CMS state officer assigned to Massachusetts know about the problems? How frequently were these groups updated about the depth of the problems with the website? Is there a precedent for reworking IT contracts multiple times in the Commonwealth during such a short engagement? What are the guidelines for reworking state contracts? Were they followed? Technical staff under contract with UMass Medical were removed from quality review committees because of their critical assessment of CGI's work, why? Independent reviewers criticized the Commonwealth for being understaffed in multiple areas of this project, and for high staff turnover, why was this the case? Best practices for project management were not followed. Which were not, and how will things be different going forward? Why was no firm pull the plug date set for the project? When was the decision made to go live, even with the well-known lack of basic functionality? What percentage of the website was expected to be functional on October 1st? What percentage was functional on October 1st? Why did the Connector spend significant advertising money in mid-October to increase traffic to the website with all of the known issues? Why were the Governor and other senior Connector staff denying that the website had major problems until early November 2013? Was it ever discussed to simplify MassHealth (Medicaid) eligibility rules during the design process? Did state officials mislead the Federal government on the progress of the project at any point? Were security agreements signed by state officials truthful for the level of security provided by the website to users? What was the standard of proof required by the federal government for the state to pass each "gate review" for the readiness of the site? Why was the Commonwealth habitually slow in turning around the review of CGI code? How many citizens have paid for their plan and still lack an insurance card? How many staff who worked on the UMass Medical School contract have been moved over to other departments or contractors still working on the project? Why was the site allowed to go live without any UAT (user acceptance testing), a standard for any IT project? Why was it announced to the public that CGI was being "fired" before the state had developed the terms of that separation?